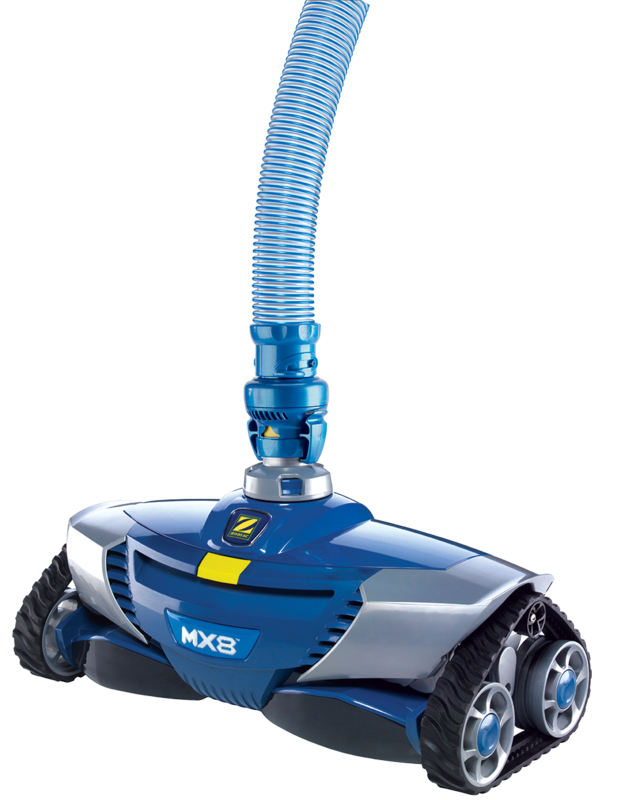 The Polaris MX8: This is a suction based vacuum that uses your current skimmer and filtration system to clean so there are no booster pumps needed. It is one of the most carefree units, but not as good for leaves. Top-of-the-line robotic pool cleaner featuring Easy Lift System, motion-sensing handheld remote, dirty canister indicator, and Vortex Vacuum technology for best-in-class cleaning performance. The robotic pool cleaners provides best-in-class cleaning performance and features. The absolute top-of-the-line robotic cleaners tackles any pool terrain, climbs steps and walls, and scrubs tile line with a solid-blade scrubbing brush. One of the distinct advantages of Polaris robotic cleaners is the smart 7-day programmable timer, with fully customizable cleaning cycles that allows pool owners to set it and forget it. With just a simple setting, you can clean the pool as frequently as you like and enjoy a pleasant, healthy pool all the time. In addition, the new and intuitive motion sensing remote puts the cleaning control in the palm of your hand. The robotic cleaners can cleans pools up to 60' in length. It includes a new premium, compact transport caddy that can be assembled in just minutes without using any tools. Polaris Pressure Pool Cleaners. These unit operates off of water propulsion and uses a booster pump. It hooks into your existing pool and catches debris in its own bag, which can be easily removed for emptying. The black scrub tail sweeps back and forth to brush the bottom of the pool while the cleaner moves over the floor. It vacuums the entire pool in about 4 hours and is recommended for pools with lots of debris.